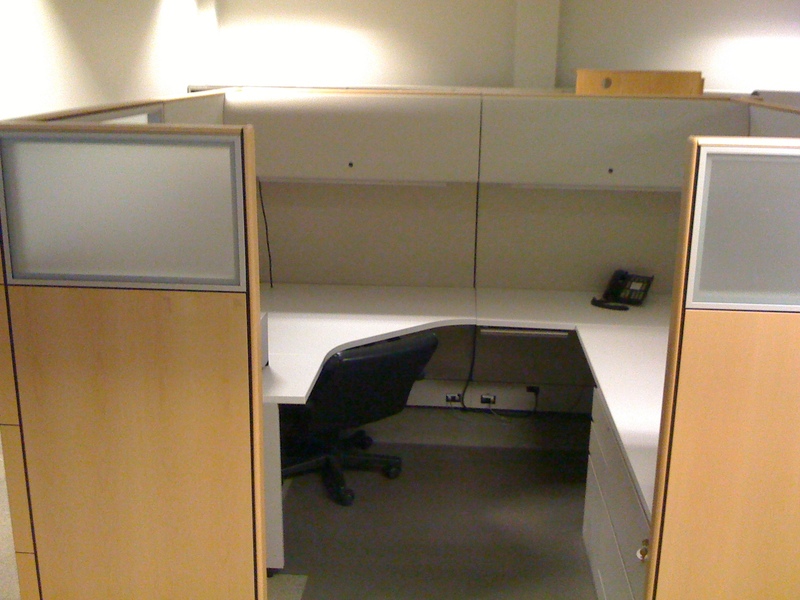 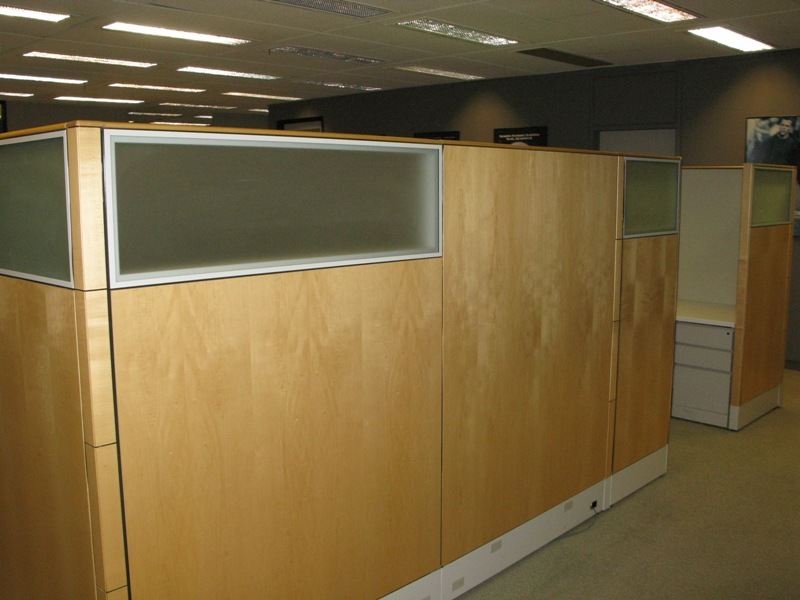 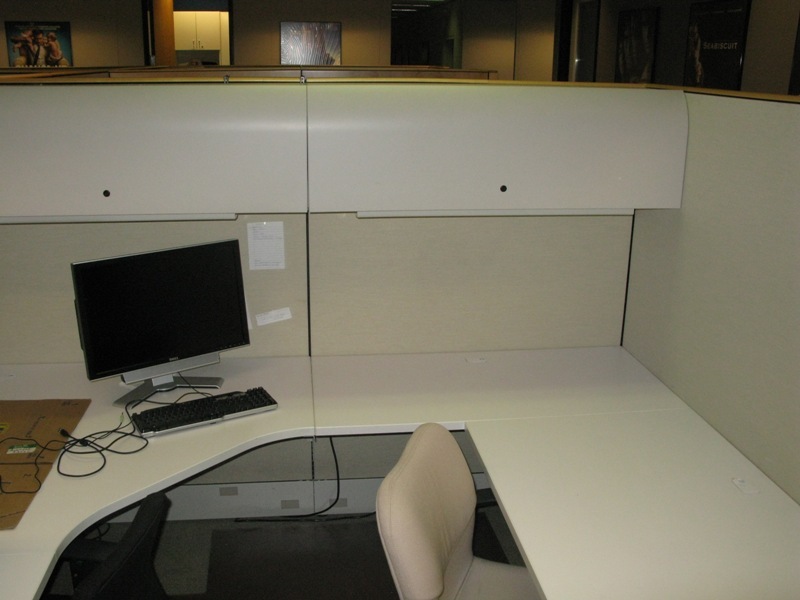 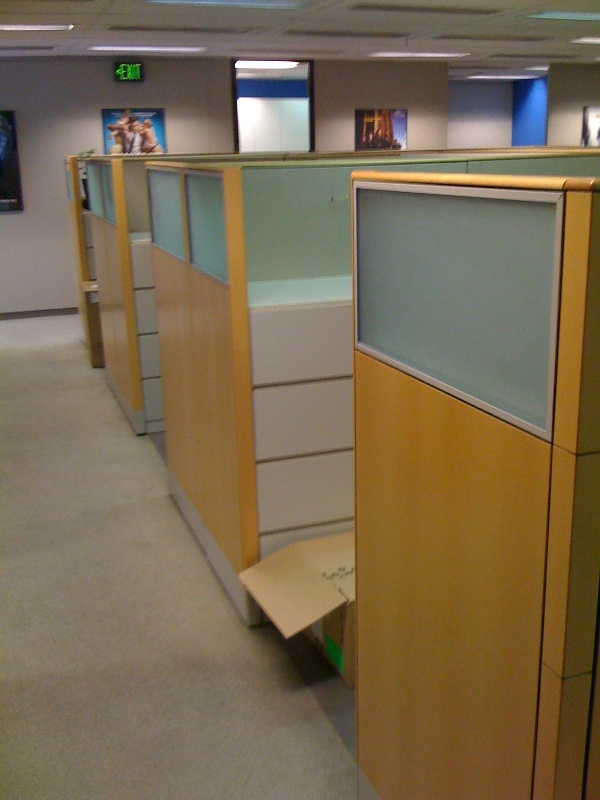 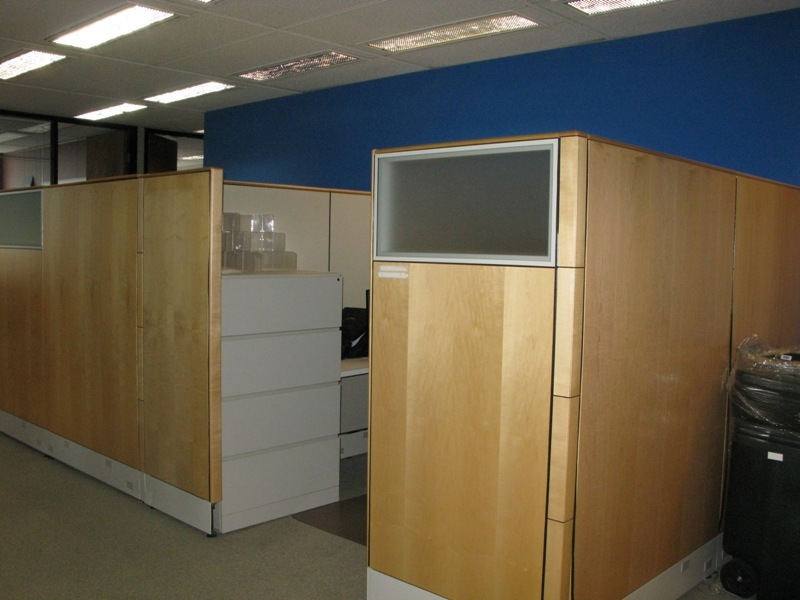 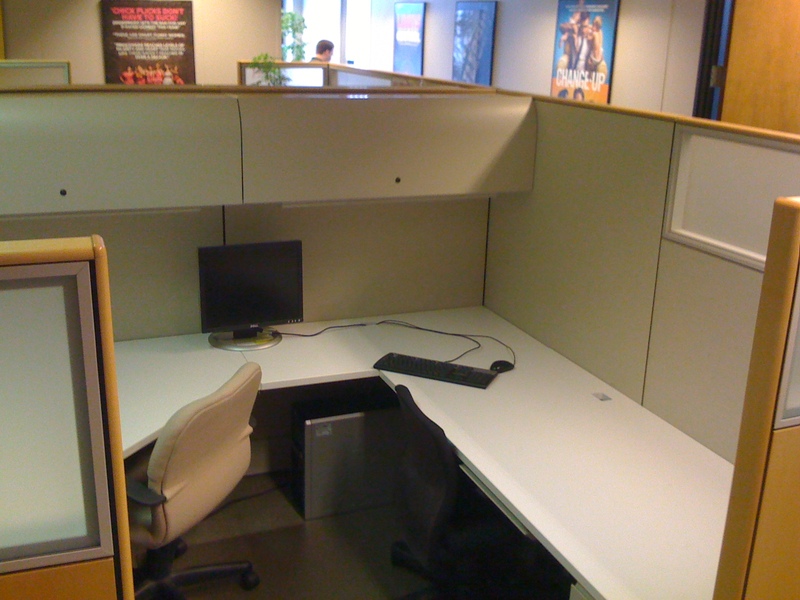 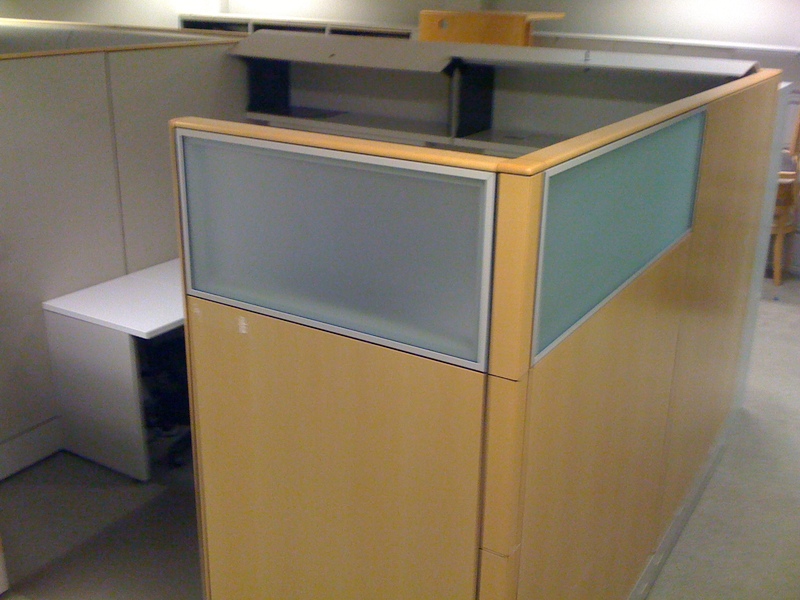 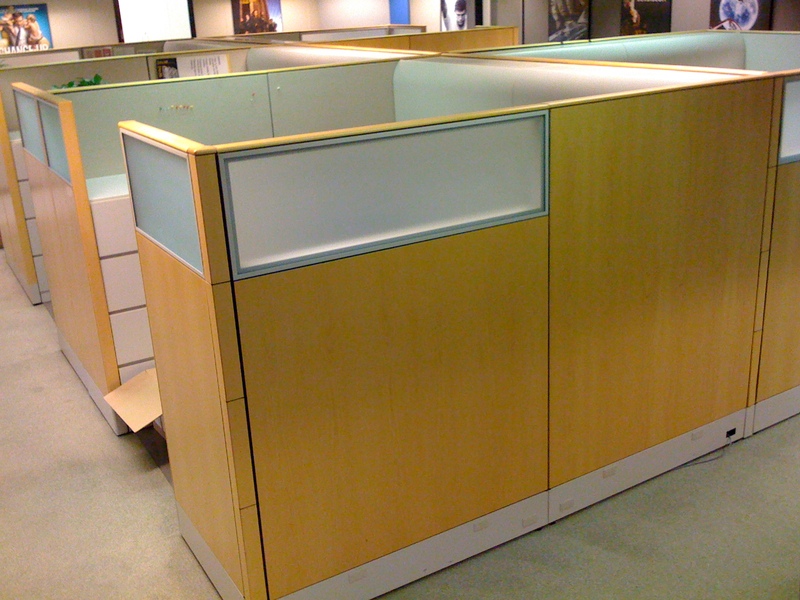 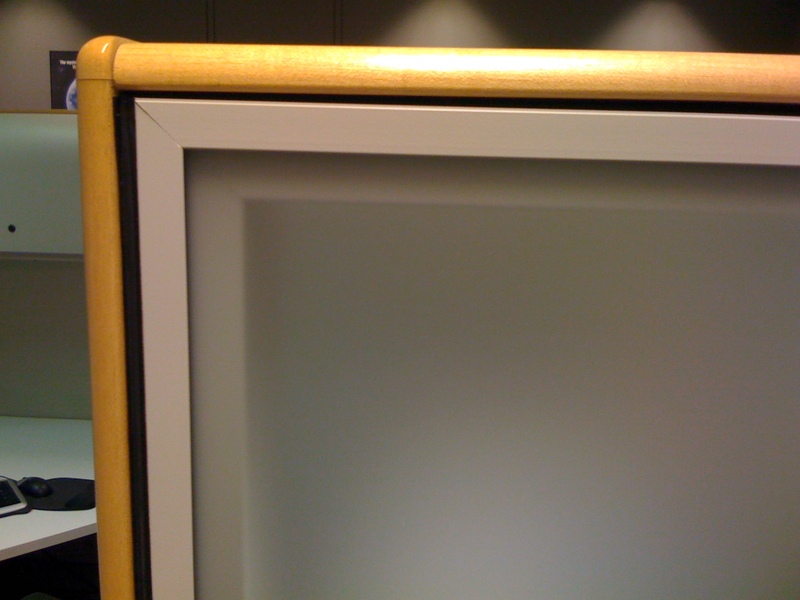 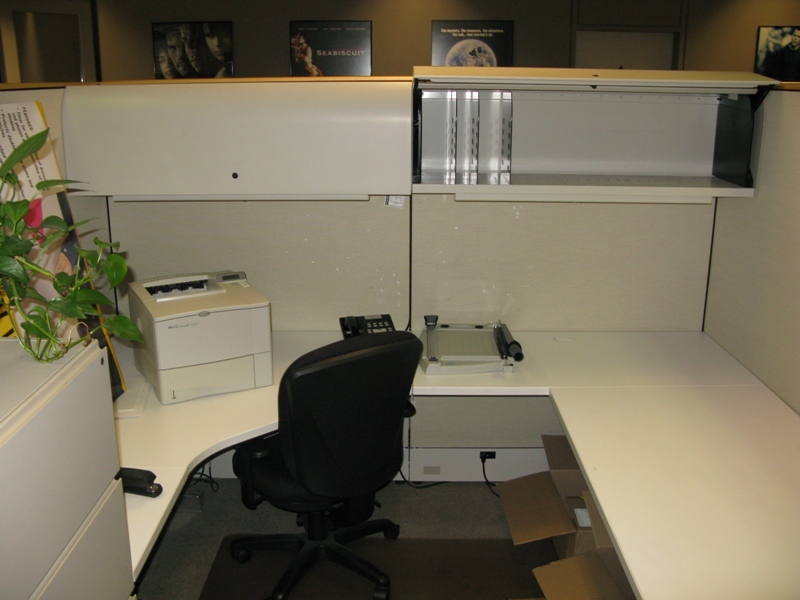 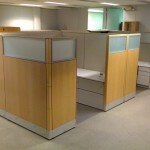 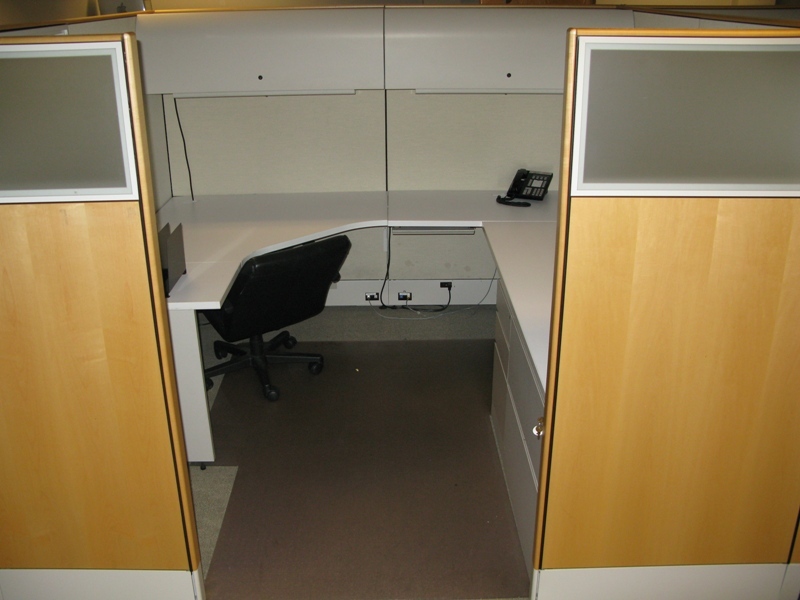 (8) Maplewood Knoll ‘Reff’ (8 x 8) Managers Stations – These are high-end Maplewood Veneer Stations with double wing privacy and frosted glass accent windows. 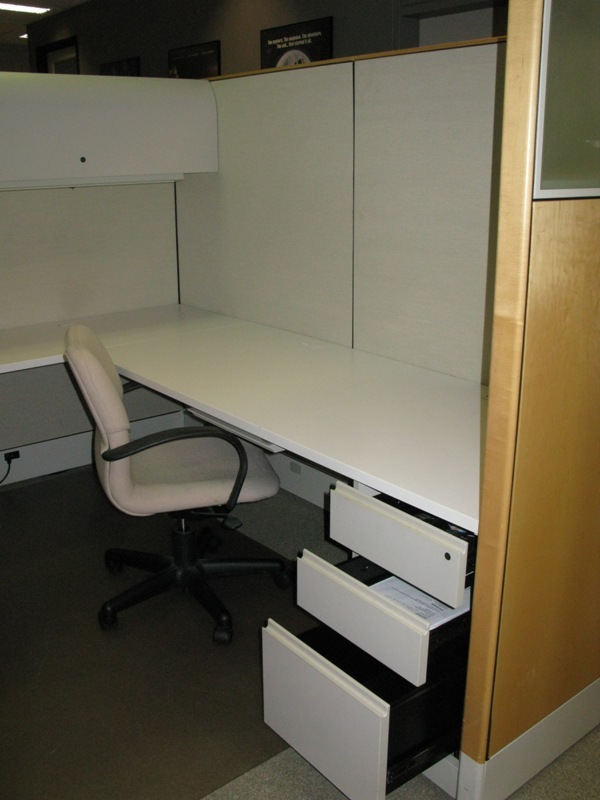 The components include (2) Overhead Bins with task lights, (1) Box/Box/File 3-drawer Pedestal, (1) 4-Drawer 36″W Lateral File. 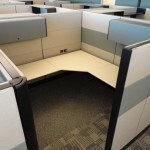 Corner U-shape worksurfaces. 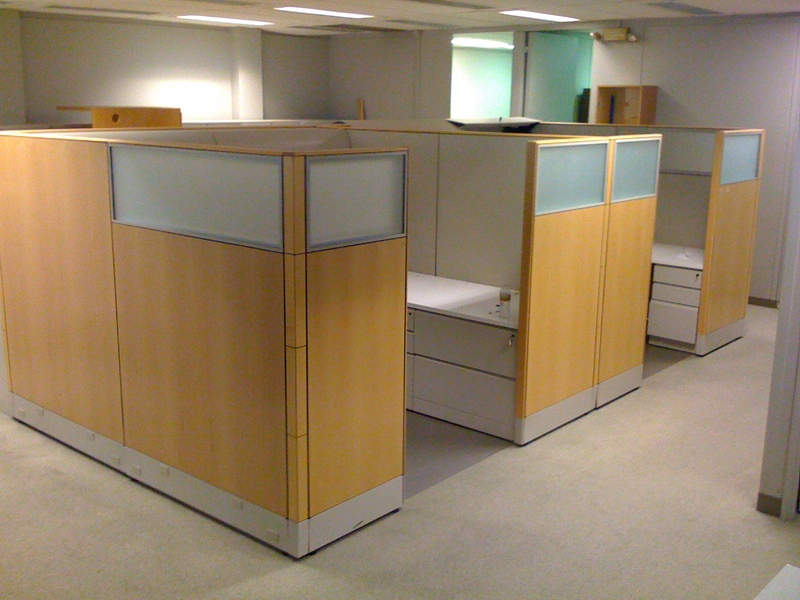 These originally sold for over $ 4000 each. 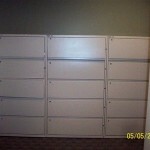 SALES PRICE: $ 745 each station when sold in cluster laout design ..